A good book is good; five is even better. On All Hallow’s Eve—as we prepare for All Saints’ and All Souls’—Fr Jonathan Jong gives us his five favourite books on death and dying. These are not necessarily theological books, but religion (unsurprisingly) features in them all. His own book, Death Anxiety and Religious Belief (Bloomsbury 2016), does not make the cut. 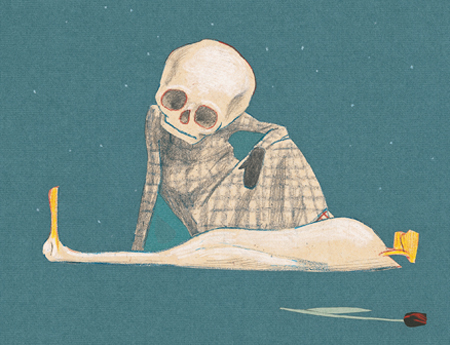 I can’t seem to get away from death, which is probably a lesson for us all. But I mean something more specific than that. When I started graduate school a decade ago, I decided to write my PhD. on the psychological effects of death anxiety on religiosity. Try as I might to pivot to something else, I am still compelled toward the topic. I’m not sure why, but I can guess. In the course of my work on the topic, I have tried to read as much as I can about death and dying, about the ancient rituals and the modern industries that surround them, about accounts of death both real and imaginary. These are the books I return to the most, from which I have gained the most in different ways. 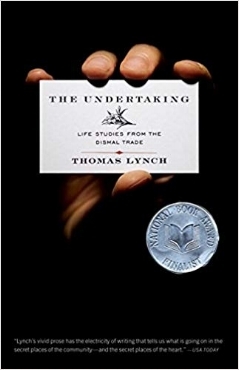 By a country mile, my favourite book about death is Thomas Lynch’s book of essays, The Undertaking: Life Studies from the Dismal Trade. Lynch is an Irish American poet in Detroit, and still living in nearby in Milford, MI (pop. 6,075 in 2010) where he is also an undertaker, having inherited with his brothers their father’s funeral home, now Lynch & Sons. A poet and an undertaker: that is something else. Lynch writes poignantly about death, as you might expect, but his musings about the funeral trade are also surprisingly often light-hearted and vivacious. He is well aware of the reputation of the business—the dismal trade—as exposed by Jessica Mitford in the 1960s and more amusingly in recent times by Caitlin Doughty: he too is critical of the corporate commercialisation of the industry, but he is able also to see (some might say, in an unkind moment, self-servingly) the nobility in his profession. But if he risks romanticising his own livelihood, he does no such thing with death. There is a thread that runs through the books I love about death, and it is that they are, if not quire unflinching, at least honest about death. 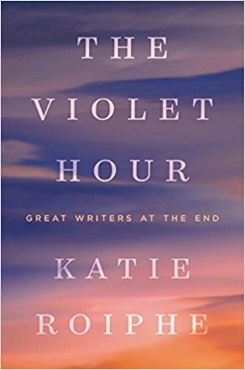 Katie Roiphe’s The Violet Hour: Great Writers at the End is part biography, part literary criticism, featuring the thoughts, lives, and deaths of (in order) Susan Sontag, Sigmund Freud, John Updike, Dylan Thomas, Maurice Sendak, and James Salter. She admits up front that it is not a systematic list, but nor is it random. They have all written about death even if they—like the novelist Salter—sometimes deny that they have done so. And therefore the actual circumstances of their dyings and deaths may be read alongside their words (and in Sendak’s case, also pictures) on the subject. These are very different people, very different lives and deaths: Sontag’s tenacity, either pitiable or admirable, I cannot tell which; Freud’s befuddling lack of introspective insight about his smoking, which would lead to his terminal cancer of the jaw; Updike’s writing of a peaceful death for Rabbit; Thomas’s fatal alcoholism, a tragically predictable coda to his life; Sendak’s…actually, I don’t know how to talk about Sendak, who seems to embody his art’s magical realism in ways that make him seem not quite real himself. Death, Duck, and the Tulip is the English translation of Wolf Erlbruch brilliant and beautiful German original Ente, Tod und Tulpe. It is, like many of Maurice Sendak’s books, not obviously a book for children, though I am convinced that it is one that children will love, if love is the right word. I will not spoil the pleasure for you, but the plot is a simple one: Death befriends Duck, and accompanies her in the final days, laying her to rest in the end. It is surreal in the way that the best children’s books are, and leaves much more unsaid than spoken, which is itself a parable. In recent years, there has been a flurry of books by medical practitioners on end-of-life issues, the most famous of which is either Atul Gawande’s Being Mortal or Paul Kalanithi’s When Breath Becomes Air, depending on how religious your social circle is. 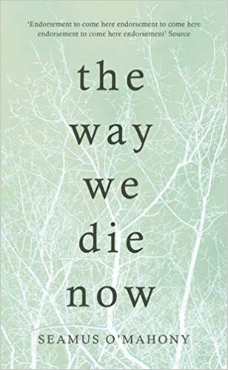 But my favourite of this recent crop is The Way We Die Now by the Irish physician Seamus O’Mahony, which no one seems to have heard of. O’Mahony’s writing lacks the sagacious gravitas of Gawande’s and the earnest hopefulness of Kalanithi’s, and for this I am grateful without having to denigrate these other books. Rather, what O’Mahony offers is humane honesty that confronts us with the reality that there is no such thing as a good death. There may be better or—certainly—worse ways to die, but to call any of them good is either to misunderstand death itself or demand to be disappointed by the healthcare system. Like Roiphe’s book, O’Mahony considers the deaths of people like Susan Sontag (and Christopher Hitchens), but he also dissects the failures of modern medical training and a National Health Service that has been gutted by political and economic forces. For all its candidness, the book is not, I think, callous or cynical: O’Mahony argues as he does because he clearly cares. No one will like this book—not least his fellow doctors—but they should read it anyway. This last book is the most academic (in the mildly pejorative sense) on the list, and for this reason I considered replacing it with something with broader appeal. But I could not bring myself to do this, so great has Ernest Becker’s influence been on my own life and work. The Denial of Death is his magnum opus, for which he was posthumously award a Pulitzer Prize. It sets out his theory—absurdly ambitious—that our awareness and fear of death is humanity’s fundamental motivation: our attempts at myth-making, our desires for fame and fortune, our cultural achievements large and small are all, without exception, immortality projects that serve to protect us from the brutal reality of our temporariness. I say it is absurd, but it is the foundation of a psychological theory—Terror Management Theory—that enjoys much suggestive if not determinative evidential support. Even those of us who, at the end of the day, will deny its truth, struggle to account for its empirical success. I still think it’s a crazy idea, but it did inspire my doctoral research.